Are you tired of planning your daily schedules? Don’t you have enough time to invite your friends on your special events through text messages, emails or phone calls? Do you forget about important events to be held in a month or in a year due to your busy schedule? I am introducing you an app that will simplify complicated schedules, alert you and save your time. It’s called Moiety app. It’s the best scheduling app for every phase of life. It can customize and capture everything so that no emails or texts will distract you. You can create and customize unlimited groups and events and invite your contacts to join or keep your calendar private. The most important thing about this app is that your contacts can only see events for the groups they are invited to. This app is totally safe and secure from the user point of view. Moiety is an app designed by the Moiety, Inc. 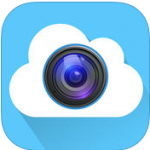 It requires 9.0 or later versions of the iOS and is compatible with iPhone, iPad and iPod touch. Moiety uses the latest security technology to login. There are two option to Login. You can login by using either your fingerprints to keep your information safe or through social media like Facebook, Twitter or Google plus. The graphics of Moiety are just awesome. The interface is user-friendly. It has a Handcrafted UX. It’s a simple, flexible and easy to use app. The colours are highly defined that it will attract you, I’m sure. There are infinite custom options that no other app can replace Moiety. It gives you a pleasure to work with Moiety. In Moiety, users can customize events, contacts and places for unlimited shared calendar groups- called ‘Crews’. You can invite your favourite contacts to join you and customize your privacy by hiding your events from other contacts that are not invited. The unique feature of Moiety app is that you can see the current status of the events to be held. You will be given an alert and updates on the status of the event. You can see who is attending the event and who is not and can see even those who has not responded. 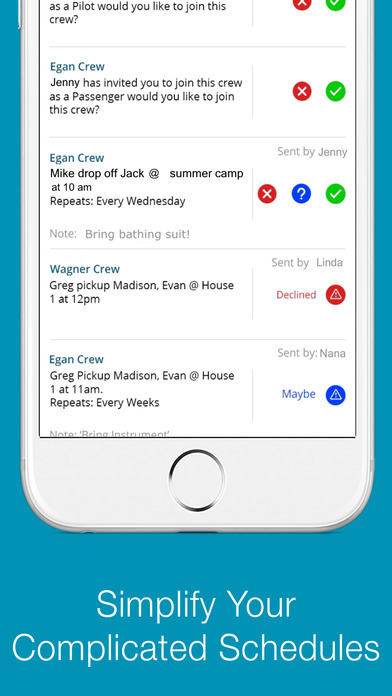 Moreover, with the use of patent pending technology, you can also create customized recurring events, places and actions for each Crew they create. All the events are created on a single screen with a few taps, and an event can be uploaded quickly to a user’s smartphone calendar. There are many alert options provided by Moiety. You should be up to date with the daily upcoming events and notifications at your fingertips. 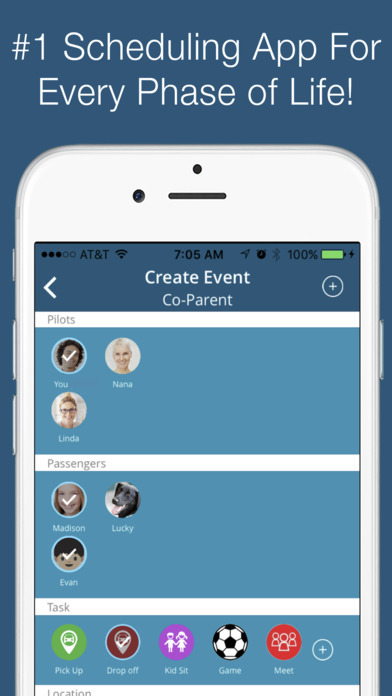 So, overall Moiety is an awesome app for creating schedules and events. It is useful for co-parents to simplify their routines. 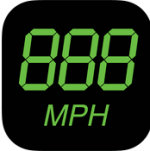 This app is available free in the iTunes store. So what are you waiting for! Download it now to unravel your complicated schedules. PROS: Simplify schedules; requires no texts or emails; dedicated alerts; customize everything; saves time; safe and secure; truly unique.